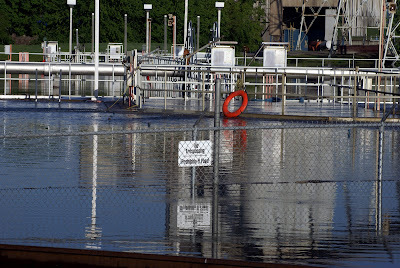 I took the following photos several hours ago along the last embankment separating the Cumberland River from the Metro Water Services Central Wastewater Treatment Plant. 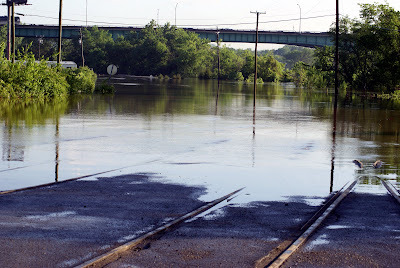 The river comes up to the embankment and Cement Plant Road in places and spills over in others. The non-flood river's edge is typically 200-300 feet from this embankment. 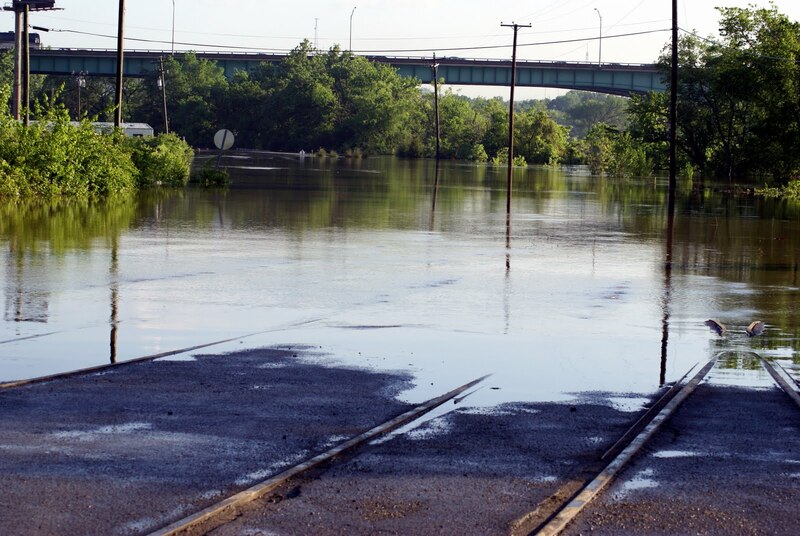 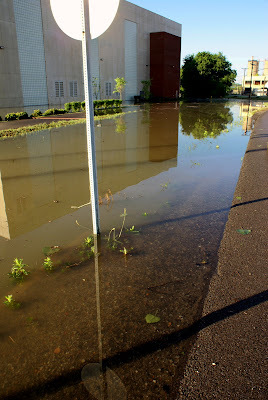 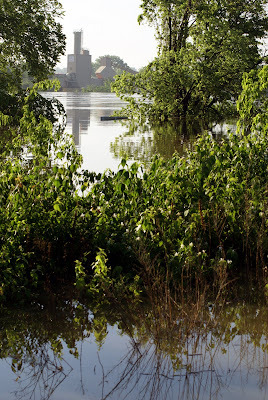 As a result large sections of the Downtown Greenway connector that runs along this route are submerged by water, in some cases, yards of water. 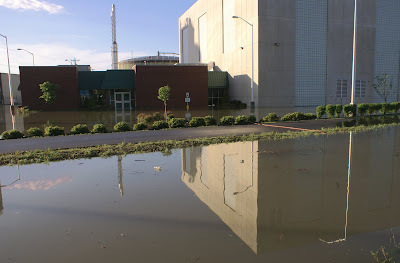 The first three pictures are of flooded biosolids facility of the MWS and the greenway that runs past it. 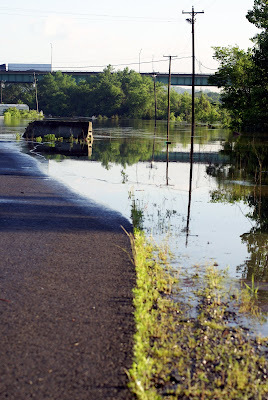 The next three were taken from Cement Plant Road toward the Cumberland River. 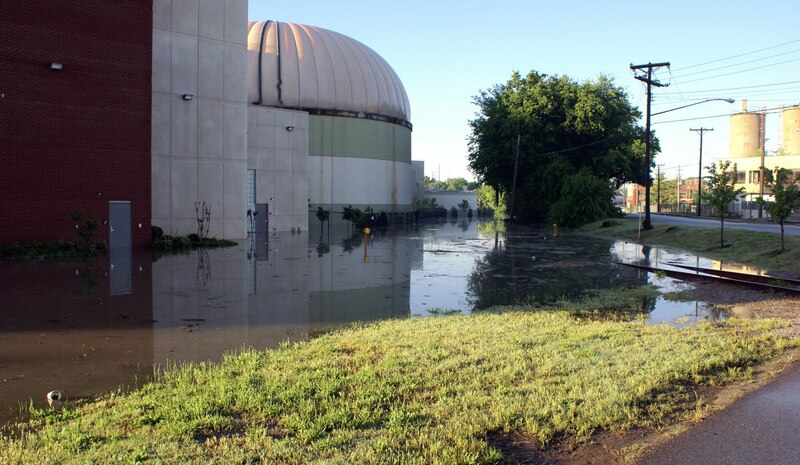 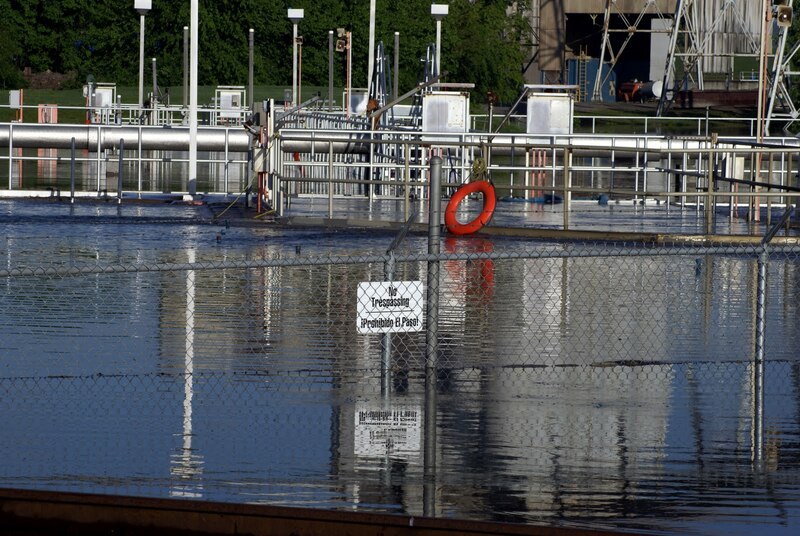 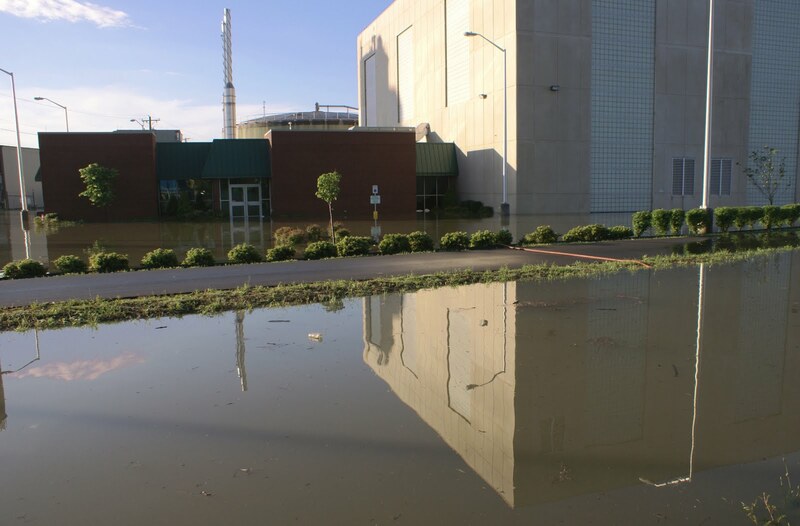 Flood water streamed into the treatment toward holding tanks, partially submerging a security fence and treatment machinery. 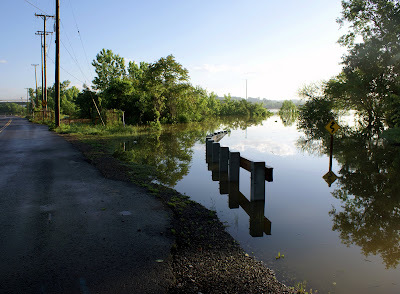 Finally, more photos from the road toward the Cumberland. 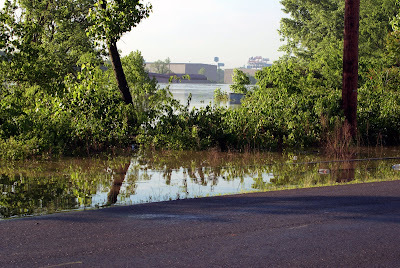 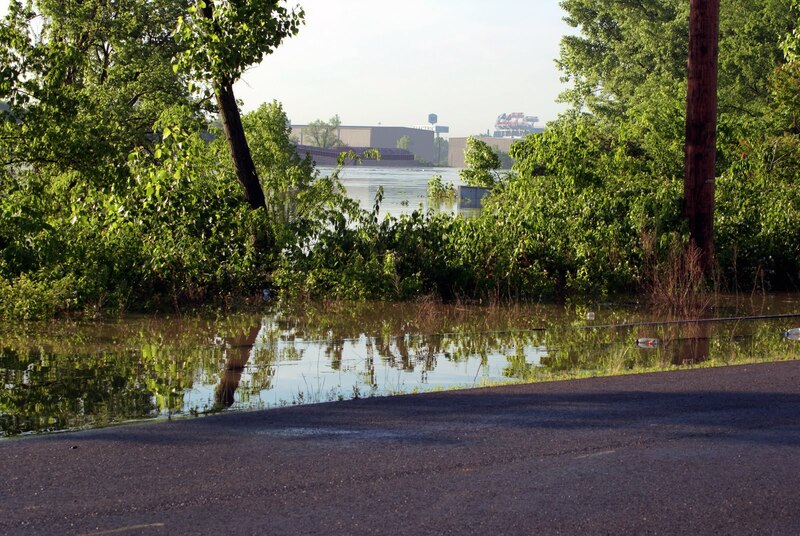 The second picture in this series shows the Cumberland swallowing the road toward the north, barring access to the MetroCenter levee, which starts just north of the I-65 bridge in the background. 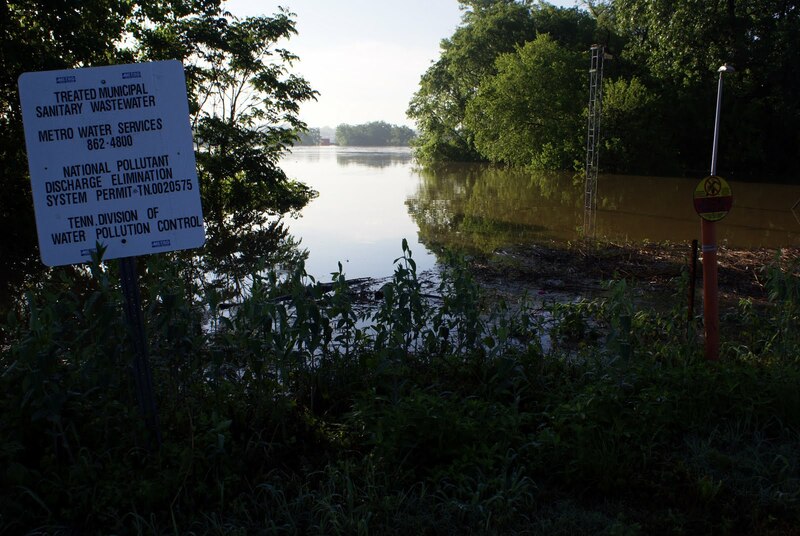 The local news media report that the MetroCenter levee is leaking.